This is what theocracy looks like. In Egypt, hundreds of Islamists today protested for the release of the “Blind Sheik” Omar Abdel-Rahman in the US. 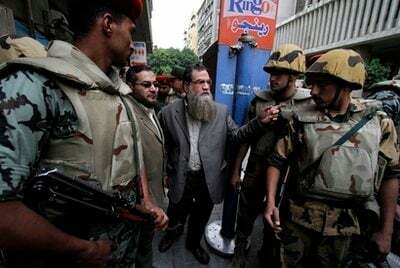 Hundreds of Islamists demonstrated Thursday near the US embassy in Cairo to demand the release of Sheikh Omar Abdel-Rahman, who was sentenced a life sentence in the US for planning terrorist attacks in New York.